Follow Jillian's board Whole Brain Teaching on Pinterest. After teaching kindergarten at Northwood Elementary for 13 years. I began my adventure of teaching Second Graders! 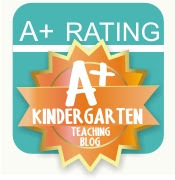 This blog will give you a sneak peek into my classroom. I hope this blog helps keep you better connected with what is happening as we grow as learners together!